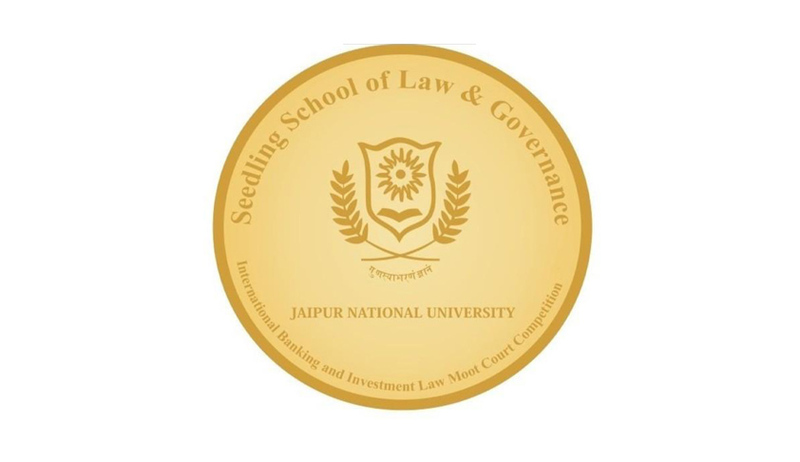 Seedling School of Law & Governance, a constituent unit of Jaipur National University, Jaipur is organizing 4th edition of International Banking and Investment Law (IBAIL) Moot Court Competition, 2015. The aim of the competition is to promote the interest in, involvement in and knowledge of Banking and Investment Law among students by providing a fair and competitive environment for the exchange of thoughts and the deepening of understanding of Banking and Investment Law. The Competition is open to all students, enrolled bonafide on a regular basis in an Undergraduate/Post Graduate law course (3 year LL.B course) or its equivalent conducted by any recognised Institution/College/University of any country. A person may be a Team Member. Each Team shall comprise of a minimum of Two (2) Members and a maximum of three (3) Members. In a Team comprising of two (2) Members, both the Members shall be designated as Oralists. In a Team comprising of three (3) Members, the third Member of the team shall be designated as Researcher. Any additional Member or Team Coach of any Team shall not formally be recognised and will not be entitled to a certificate from the M.C.C. No Institution/College/University shall enter the Competition with more than one team in any year. Team members needs to fill the Registration form. Indian Teams have to make the payment of the registration fee through a demand draft. The demand draft should be remitted in favor of “Jaipur National University, Events” payable at “Jaipur”. Teams from Outside India shall make payment through Bank Transfer. All Transfer Fee must be paid by the Transferor in USD or Euro only. The transfer must indicate the name of your University as the transferor for your university to be given credit for having paid the registration fee. Each Team is required to submit Memorials on behalf of both the Applicant and the Respondent. Each Team shall send one (1) hard copy of each memorial to the organisers on or before September 15, 2015 to the address below. Submission beyond this date would be subject to the discretion of the organisers and will be subject to penalty. Each Team shall carry with them Five (5) hard copies of the Memorials for each side [Five (5) for the Applicant and Five(5) for the Respondent] on their arrival. The hard copies must be the exact print out of the soft copy; else the team will entail disqualification. of the problem in support of the positions argued in the Written Submission. The Statement of Facts should remain faithful to the official facts and present them in a reasonable way, but not a true copy of it. (j) Final Submissions to the Tribunal. The Arguments has be of typeface of 12 Point Times New Roman font for the text in double space and 10 points Times New Roman font for footnotes in single space, not to exceed twenty five (25) pages in length and the total word limit of the Arguments, including all footnotes, must not exceed 8,000 words. Page Margin should be 1 inch from all sides. Attachments to the Arguments are not permitted. Table of Contents, List of Abbreviations, Table of Authorities, Section Headings and Footnotes shall be typed Single-spaced. Teams shall cite authorities in the Memorials using footnotes following the OSCOLA (Oxford Standard for Citation of Legal Authorities) 4th Edition 2012. Memorials shall not in any way identify the Team, its members, the law school, faculty, university or other participating institution except with the Team Code as assigned by the Organisers. The electronic version of memorials shall not have any electronic identification of the Team. All the Memorials should be Spiral Bound. Following colour scheme shall be followed for the cover page of the Written Submission: (a) Applicant: GREEN (Preferably Light Green) (b) Respondent: BLUE (Preferably Light Blue). The Winning Team shall be awarded a Trophy and a cash prize of I.N.R. 25,000. The Runner-ups Team shall be awarded a cash prize of I.N.R. 15,000. The Best Written Submission award carries a Plaque and cash prize of I.N.R. 6,000. The Best Oralist shall be awarded a Plaque and a cash prize of I.N.R. 4,000.